Easy barbecue smoker recipes, BBQ grilling tips and all the essential know how to help hone your pitmaster skills. I'm Paul Yates and I'm sharing over 35 years experience of BBQ cooking, Barbecue Smoker Recipes concentrates on answering your most important questions about BBQ cooking and equipment purchases. Packed with loads of tips from our readers - information hard to find anywhere else - it's these snippets that will take your smoker cooking and grilling to another level. If you have a specific barbecue question then use the search bar at the top of this (and every other) page. Your question may have been asked before and you'll find your answer in a matter of seconds. 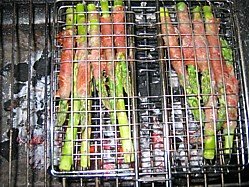 If you can't find what you are looking for then head for the BBQ forum. For recipes use the left hand navigation bar. Each recipe is categorised by its main meat ingredient and from there each page is sectioned into BBQ smoker recipes and easy grilling recipes. 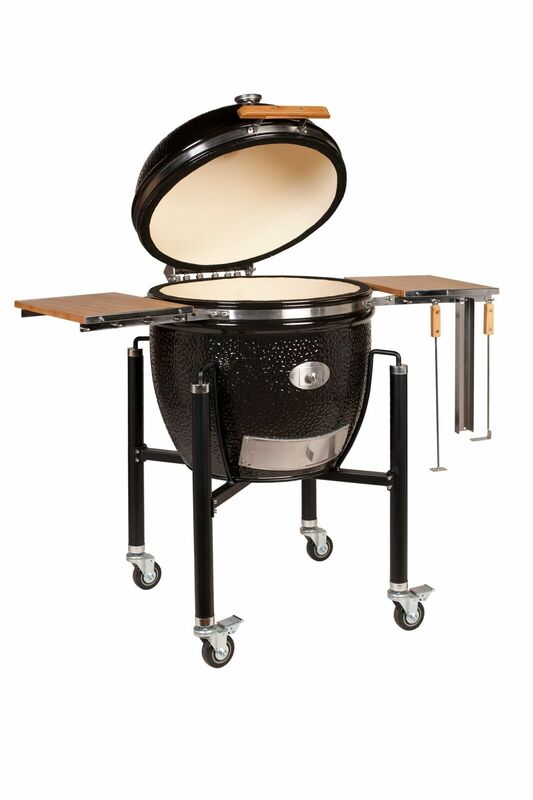 You'll also find some kamado cooking recipes too because I cook on my Monolith kamado pretty much all the time. 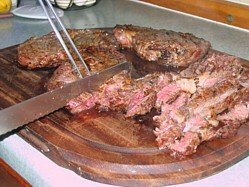 My site is updated daily with new information either directly by me or from you via the BBQ forum. Whether it's cooking or eating, whether it's today or way back in time when man first learned that cooking meat on a fire was good, BBQ to me is all about community and sharing...so join in and let me know what you think. Maybe you can tell from this photo, I'm a BBQ chef, not a photographer! I'm English. That means I approach some of my recipes from a different point of view to traditional American barbecue. That said, you'll still find all the usual favourites and it doesn't matter where in the globe you come from, all tips, techniques are backed up in science. In addition, you'll find all the quantities for my recipe ingredients are listed in both metric and imperial units. 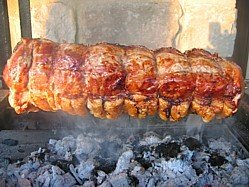 I run a barbecue catering business so we experience BBQ from all angles and if you want barbecue to be your business I'm more than happy to share. I also make and sell charcoal barbecues. Does that make me biased? Certainly we make the grills the way we do to ensure that they work well, we also use the materials we think are best...without compromise. That doesn't mean they are right for everyone so I'm sure you'll find our equipment reviews objective. You see all the BBQ stuff we do in the right hand column. My barbecue smoker recipes aren't just about meat either. Over the years I've learned that there are some fantastically flavour-some vegetarian and vegan dishes which are all the better for hint of smoke and the ceramic kamado is the perfect friend for any vegetarian or vegan who loves outdoor cooking. To find out more, check out my kamado cooking section or go straight to the vegetarian and vegan recipes. I need all the financial help that I can get to continue to reinvest in this barbecue information resource so the site makes money in a number of ways. You'll find pay per click advertising on some pages and product links to Amazon on other pages in addition to the sale of our custom hand built stainless steel charcoal barbecues and replacement stainless steel grills / cooking grates. That's it, I won't resort to annoying pop ups or email sales campaigns. If you buy anything directly from me or indirectly through Amazon as a result of information that you found on this site then that's gotta be your decision but suffice to say I heartily thank you!